Neutral but nevering boring. The Zephyr Pikkolo is a sleek silver grey with smoked pearl grey piping and sleep hood. 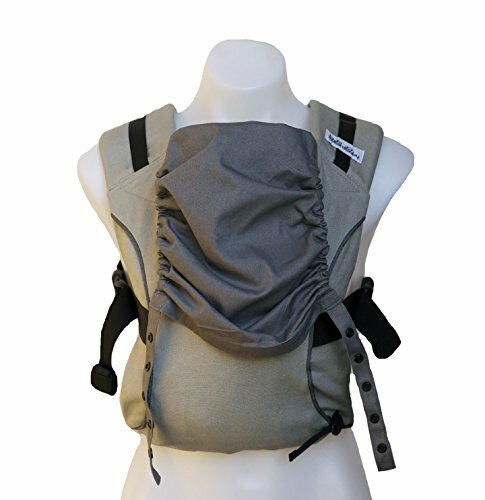 Like all Pikkolo carriers, the Zephyr Pikkolo can be used facing in or out, on the hip, or on the back. Use with newborns, no infant insert required. Made of 100% soft but sturdy cotton canvas with brushed twill sleep hood. Compatible with our patented baby wearing support belt. If you have any questions about this product by Catbird Baby, contact us by completing and submitting the form below. If you are looking for a specif part number, please include it with your message.